Walking, jogging, running: it’s all possible with the Flow Fitness DTM3500i. 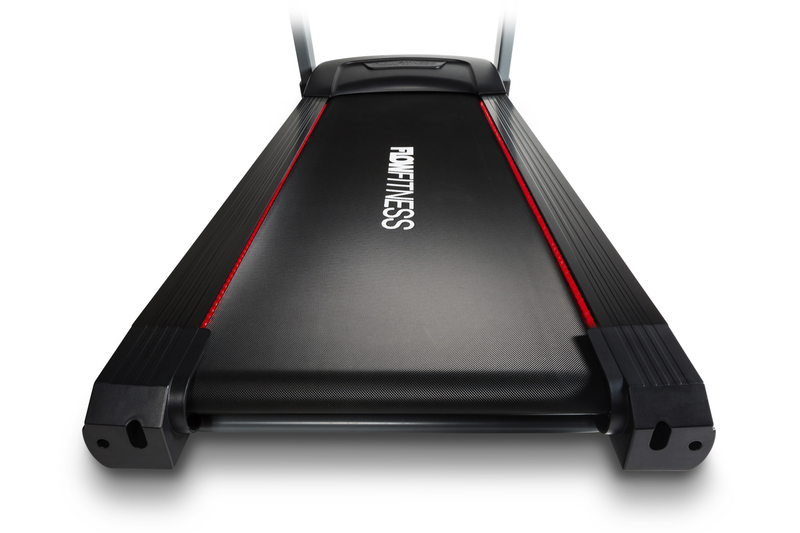 This modern and reliable treadmill has no less than 29 programs, including heart-rate controlled and interval programs, but also programs specifically intended for endurance training. The strong steel construction of the frame and the powerful and unique Hybrid Drive 6.5 motor ensure that users up to 180 kg can work out without any problems. The large running deck of 145 x 52 cm offers safety and comfort while running. Even at high speeds when your steps are less controlled, there is plenty of space. The console can be controlled by the unique and innovative Smart Wheel. With this, you easily go through the menu and confirm your choice by pressing the button. 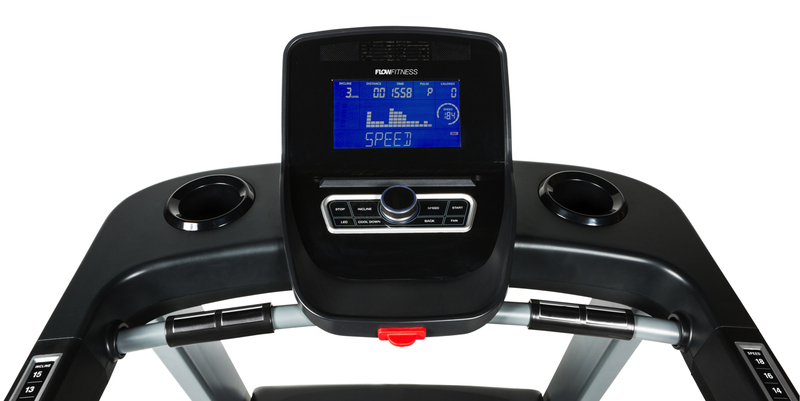 Because this treadmill includes a Bluetooth receiver, it is easy to pair it with your tablet or smartphone (one-time set-up). Various free apps can be downloaded, with which you can considerably expand your options. Unique on the market are the quick keys on the handrail. 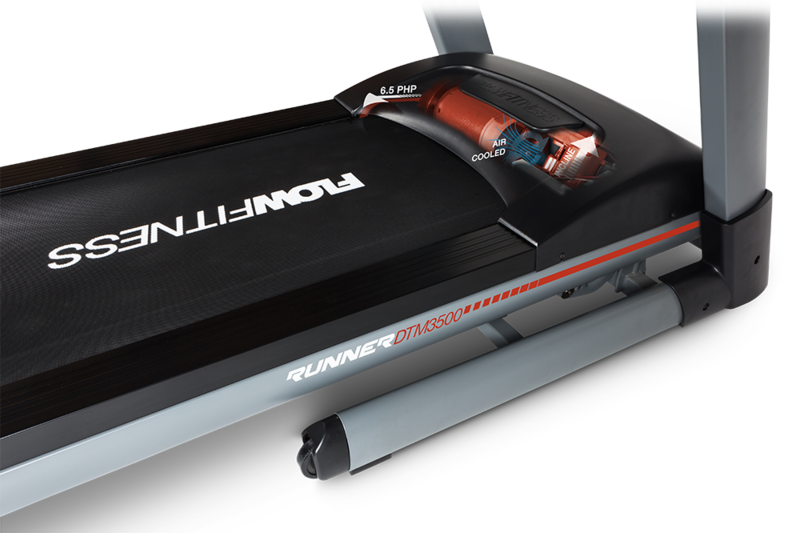 No other treadmill available offers the ability to quickly choose a speed or incline by pressing a button within arm’s reach. Flow Fitness offers a very comfortable, but especially safe, solution. The ample running deck of 152 x 52 cm is equipped with unique Running Guide Lights. This special lighting not only marks the edges of the running deck clearly, it also indicates, by means of different colours, whether you are running at the right speed. An innovative solution for a safe and comfortable workout. The Flow Hybrid Drive 6.5 can accelerate up to 22 KPH. Ideal for an occasional interval workout or a final sprint in your workout schedule. The motor can also be adjusted in 0.1 KPH increments, so anyone can sustain their long-run pace. 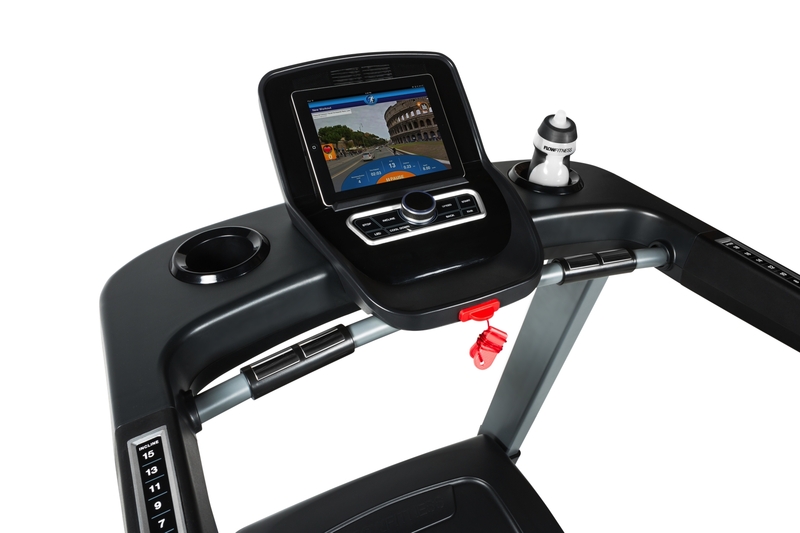 Because the DTM3500i is equipped with a Bluetooth receiver, you can easily connect the treadmill to your tablet or smartphone. Various free apps can be downloaded, so you can greatly expand your workout options.